Most people know me as an Emmy Award winning AIDS activist, but my life was committed to social change long before I appeared on the cover of Essence magazine. In many ways, my work in social justice paved the way for the work that I do now. My training ground was Operation PUSH, a legacy of which I am very proud. I remember one of the first assignments given to all the interns was to read, Why We Can't Wait, by Dr. Martin Luther King. It was the first of Dr. King's writings I had ever read and it set the tone for everything I did after. Operation PUSH began as Operation Breadbasket, the economic arm of Dr. King's work in social justice. 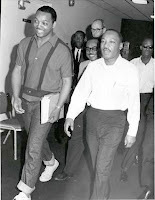 Dr. King appointed Rev. Jesse L. Jackson, Sr. as the national director. 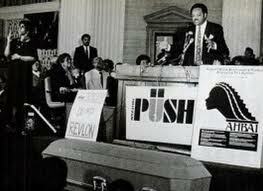 After Dr. King's death, it evolved into Operation PUSH where Rev. 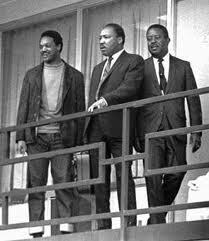 Jackson and a host of Civil Rights workers continued the work. They shut down A&P grocery stores on many Saturdays, demanding economic reciprocity. A&P's saturated Chicago's black communities getter richer daily from our dollars, yet only hired blacks for the most menial of jobs. Rev. Jackson, under the realm of Operation PUSH, fought for that change. Operation PUSH was always referred to as Dr. King's workshop. 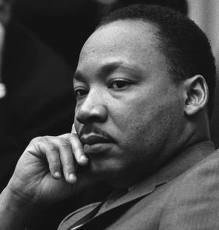 It was seen as an extension of Dr. Kings work in Social Justice. Our focus was not remembering the dream of Dr. King, but the work of Dr. King. In fact, I can't ever remember the I Have A Dream speech as a starting point for conversation. Instead, we were reminded that Dr. King was assassinated working. He was in Memphis supporting the garbage workers boycott. We were reminded that Dr. King's work began with Civil Rights but once African-Americans were given the right to equal accommodations and the Voting Rights's Act was passed, King didn't quit. No, King shifted his work to the other important issues that affected not only African-Americans but all Americans. He shifted his work to economic fairness, poverty, and the Vietnam War. Dr. King's workshop was a place where people came to work for change. Everything we did was about the advancement of others. This was not an organization, we were a movement. There was no set work day, we worked until the job was done. Many of us worked 10-12 hour days. One of my first projects was the boycott of Anheuser-Busch. A large portion of their sales were from African-Americans, but there were no distributorships, no senior management, and no investments in the Black community. They also held these Super Festival's with Black entertainers and all Black audiences, but yet, they used no Black promoters or public relations' companies to run these festivals. I organized college students across the country, "Bud Is A Dud, Don't Drink Those Suds," was our battle cry. And we shut down those festivals in city after city after city. Anheuser-Busch lost money that summer and it forced them to sit down with us. Yes, my time spent at Dr. King's workshop was about making change happen not dreaming about change. As the National Youth Director for Jesse L. Jackson for President campaigns, I crisscrossed this country registering college students to vote and organizing them to help get the vote out. 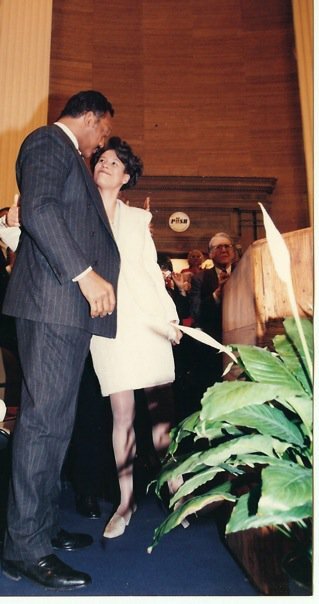 I worked the Democratic Convention in '88 when Rev. Jackson fought for the one man one vote change in the Democratic party, which, by the way, paved the way twenty years later for Barack Obama to win the Democratic nomination. It was an exciting time in my life. I sat in meetings with women like Dorothy Height and Alexis Herman. Staff meetings were run by Rev. Jackson. To sit in his presence and absorb it all like a sponge helped to shape me into the woman that I am today. My peers were women like Donna Brazile. It was an awesome time in my life. I was at the epicenter of it all fighting to help bring about change. We were doers not dreamers. 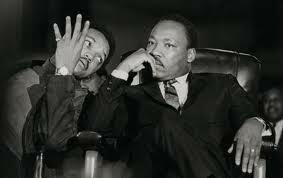 My work in HIV/AIDS is just an extension of my work at Dr. King's workshop. I remember that Rev. Jackson was the first presidential candidate to have an AIDS policy. He would sleep in AIDS hospices and share meals with people dying from AIDS at a time when the current President couldn't get the word AIDS out of his mouth and discrimination was running rampant in our schools, hospitals, churches, funeral parlors, and even our homes. My transition to an AIDS activist is a natural one for me. It is some of the most important work for African-Americans at this time in history. We have got to change the tide of AIDS in our community. African-Americans are 46% of HIV cases in the United States and only 12% of the population. 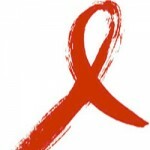 AIDS is the number one killer of African-Americans in the United States between the ages of 25-44. There are 30,000 new cases of HIV a year and African-Americans are 42% of that number. We have to change the tide. We must change the tide. We must challenge stigma and shame. We must educate so behavior can change, and we must challenge the government and traditional AIDS organizations to give us access to the money and resources for us to do the work. I get asked often by someone in the AIDS community, "What are Black folks going to do about AIDS in the Black community?" Yes, we do have to step up to the plate even more than we have. And don't be confused, there are Black people who do the work. But my question is, "What's the AIDS community going to do to help?" We deserve the same support and resources that the gay community received in the earlier period of the AIDS crisis in the U.S. Bottom line: There is much work for all of us to do. So, for me, I make a renewed commitment to continue to do the work until the day I die. Looking back, over twenty-five years later, I'm grateful I learned all that I needed to know to carry out this work inside Dr. King's workshop at the feet of Rev. Jesse L. Jackson. I am honored to be a part of this legacy of doers not dreamers.